Fiona Dunne, Tourism Ireland; Susanne Reid, Christ Church Cathedral; Séverine Lecart, Tourism Ireland; Catríona Fallon, Siamsa Tíre; Adrienne O’Flynn, Shannon Heritage; David Cleary, Manor House Hotels & Irish Country Hotels; Caitríona Butler, Irish Ferries; Geneviève Leloup, Holiday Ireland Hotels; Monica Ramchandani and Marine Robert, both Aer Lingus; and Nicola Meenan, On Campus, at the Irlande à Paris B2B workshop in Paris. 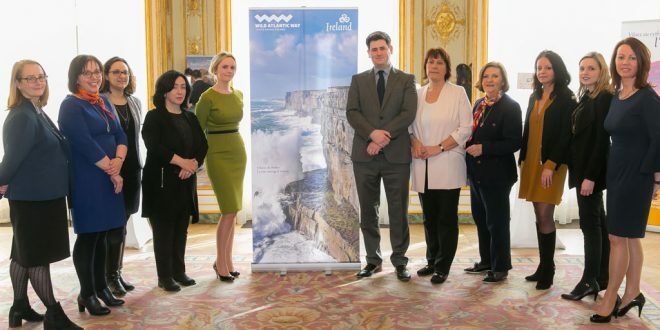 The Embassy of Ireland in Paris was the venue for a recent B2B tourism event, Irlande à Paris. Organised by Tourism Ireland, the networking event involved some 70 leading French group travel operators meeting, and doing business with, 18 Irish tourism companies, including Shannon Heritage. 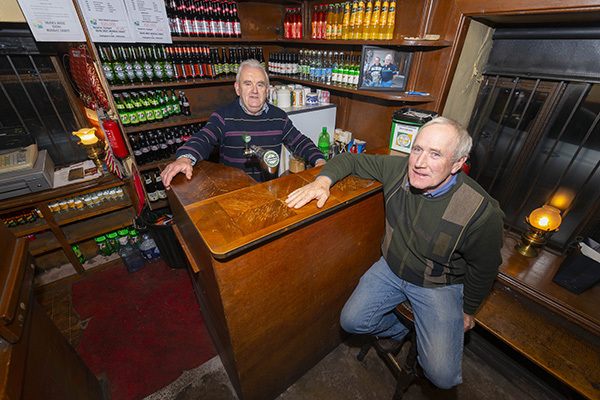 France is one of the top four markets for tourism to the island of Ireland and 2016 was the fourth record-breaking year in a row for French visitors to Ireland. Last year was the best year ever for tourism from France to the island of Ireland, when with more than 500,000 French visitors.